In 1787, British Prime Minister William Pitt convened the Privy Council to gather evidence on the slave trade and slavery in the West Indies in anticipation of debates on abolition of the trade. The report generated over a thousand pages of testimony from white male witnesses who often recounted violent scenes in which enslaved women were victims of spectacular punishment, mutilation and in various states of mortification. This paper indexes British conceptions of gender and sexuality within the form and content of this archive. Marisa Fuentes raises questions about the difficulty of historicizing spectacular (gendered) violence within exclusively white male discourse and engage theoretical scholarship on the archives of slavery in an attempt to narrate the fleeting and brutal glimpses of enslaved women’s experiences in the West Indies towards the period of amelioration. Despite the multiple ways in which this archive is mediated by power Marisa Fuentes offers a way to read for moments when enslaved women force themselves into history. Message adapted from email announcement. 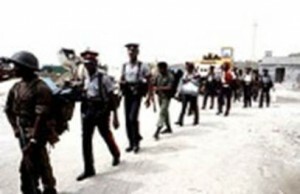 This entry was posted in Caribbean Epistemologies Archive, CE Events, Northeast US Events on March 19, 2014 by Jonelle Isaac. The Caribbean Cultural Theatre Friends Recognition Reception presents Pantomime by Derek Walcott. Thursday 27 March, 2014 7:30 p.m.
Friday 21 and 28 March at 7:30 p.m.
Saturday 22 and 29 March at 3:30p.m. and 8.00 p.m.
Sunday 23 and 30 March at 6:30 p.m. Reception By : Bacardi and Super Wings. What happens when two middle-aged guys flee the worlds they have always known and wind up on the same tropical island, one as the owner of a hotel, the other as his servant? And what if they looked at a role-reversal play as part of the hotel’s entertainment? That is the thread that weaves the storyline of this fast-paced comedy together and gives audiences a non-stop romp through cliché, humour, drama, societal roles and most interestingly, self image. Pantomime by Derek Walcott embraces several issues of racial and cultural equality, of colonial history, and powerfully explores and subsequently deconstructs Caribbean identity as fabricated by the white European colonizer. 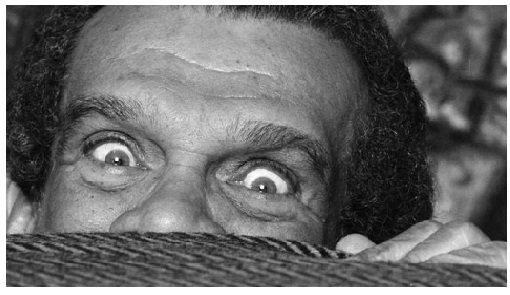 Derek Alton Walcott, is a Saint Lucian poet and playwright. He received the 1992 Nobel Prize in Literature. In addition to having won the Nobel, Walcott has won many literary awards over the course of his career including an Obie Award in 1971 for his play ream on Monkey Mountain, a MacArthur Foundation “genius” award, a Royal Society of Literature Award, the Queen’s Medal for Poetry, and the 2011 T. S. Eliot Prize for his book of poetry, White Egrets. This entry was posted in CE Events, Northeast US Events on March 7, 2014 by Jonelle Isaac. Thursday 6 March, 2014 at 4:30 p.m. 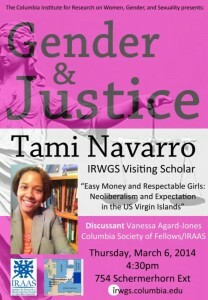 The Columbia Institute for Research on Women, Gender, and Sexuality presents: Gender and Justice. 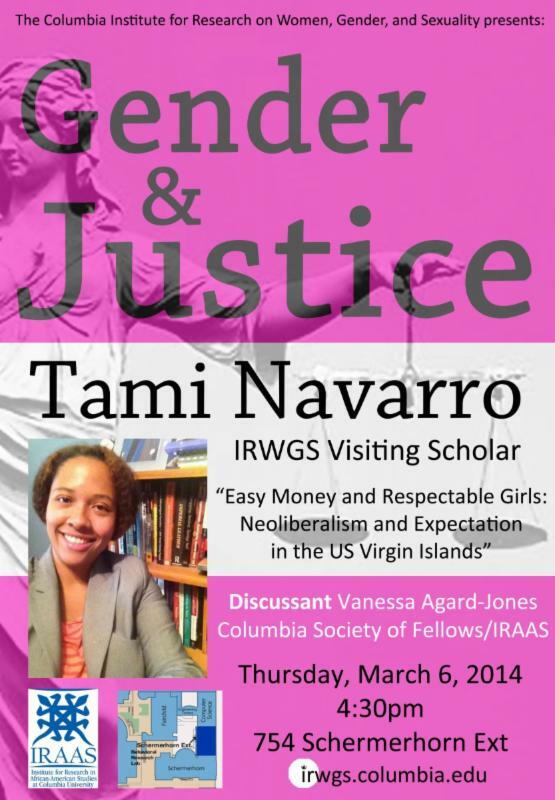 IRWGS visiting scholar, Tami Navarro will present, “Easy Money and Respectable Girls:Neoliberalism and Expectation in the US Virgin Islands.” Followed by a discussion led by Vanessa Agard-Jones. This entry was posted in CE Events, Northeast US Events on March 4, 2014 by Jonelle Isaac. Join Laurie Lambert, Assistant Professor of African American and African Studies at the University of California, Davis for a session that explores how the collective memory of the Grenada Revolution’s participants and regional observers is tainted by the mass violence that marked the collapse of the People’s Revolutionary Government (PRG) and the American invasion of Grenada. In Chronicles of the Hostile Sun (1984), Trinidadian-Canadian writer Dionne Brand uses her poems to discredit U.S. imperialist rhetoric and policy in the Caribbean. St. Lucian author Derek Walcott, on the other hand, critiques the U.S. invasion of Grenada while expressing deep skepticism about the revolution in the unpublished essay “Good Old Heart of Darkness” (1984). Read together Brand and Walcott recount the revolution as a complex example of transnational resistance to U.S. imperialism in the midst of the Cold War. Event adapted from email announcement. This entry was posted in CE Events on February 28, 2014 by Jonelle Isaac. Fifty years into Jamaican independence and twenty years after the publication of his seminal work Slavery and Social Death, Orlando Patterson sits down with renowned anthropologist David Scott to discuss his creative and scholarly work and their implications in the contemporary moment. This is the closing event of our semester of revisiting “foundational texts” (see schedule here). The suggested reading for this event is the Introduction to Slavery and Social Death. Orlando Patterson, a historical and cultural sociologist, is John Cowles Professor of Sociology at Harvard University and the author of, among other volumes, Slavery and Social Death, Freedom in the Making of Western Culture, and most recently, Rituals of Blood: Consequences of Slavery in Two American Centuries. He has also published three novels: The Children of Sisyphus, An Absence of Ruins, and Die the Long Day. A public intellectual, Professor Patterson was, for eight years, Special Advisor for Social policy and development to Prime Minister Michael Manley of Jamaica. The author of three novels, he has published widely in journals of opinion and the national press. David Scott is Professor of Anthropology at Columbia University, where he specializes in the study of Caribbean and South Asian culture and Postcolonial thought more broadly. The editor of Small Axe, he has published several seminal works of Caribbean thought, including Refashioning Futures: Criticism after Postcoloniality, and Conscripts of Modernity: the Tragedy of Colonial Enlightenment (which we read at the inaugural discussion session of the Caribbean Espistemologies Seminar). This entry was posted in CE Events on April 25, 2012 by Kelly Baker Josephs. This entry was posted in CE Events on March 10, 2012 by Kelly Baker Josephs. This entry was posted in CE Events on February 24, 2012 by Kelly Baker Josephs. This entry was posted in CE Events on February 9, 2012 by Kelly Baker Josephs. Our discussant for this paper will be Professor Tamara Walker, Department of History, University of Pennsylvania. Please see below for an abstract and bio. This paper explores the routes followed by ideas and rites about the body emerging in seventeenth century black Atlantic Caribbean locales like Cartagena de Indias and Havana. Data related to the circulation of bodily knowledge in the Spanish Caribbean evinces a largely ignored process in which black ritual practitioners experimented with new materials and techne they found in the Americas and transmitted a corpus of “bodily knowledge” during the sixteenth and seventeenth century. Perambulating and interconnected black health practitioners, using oral tradition, performance, and material culture, functioned as the primordial links for the diffusion of black ideas about corporeality in the Spanish Caribbean. They shared information across ethnic lines and occupations in Spanish Caribbean locales using social practices traceable to Sub-Saharan African traditions. Within their epistemological realms, these healers probed the Caribbean landscape for medical products and explored the particular socio- cultural make up of the places where they would deploy their practices. As their European counterparts, seventeenth century Spanish Caribbean ritual practitioners of African origin –– coming from Europe and Africa or born in the New World –– engaged in procedural, conceptual, material, and social practices that had the specific objective of inquiring about the human body . Through these practices Caribbean black communities entered a larger conversation about the very nature of knowledge in the early modern era. For all the cries about their supposed primitivism and inferiority, black ritual specialists were at the forefront of the production of empirical knowledge related to the body. Pablo Gomez PhD, MD, is an Assistant Professor in the Department of History and Geography at Texas Christian University. He works on the history of medicine and corporeality in the early modern African and Iberian Atlantic worlds. For the 2011-12 academic year Dr. Gomez is on leave on a Mellon/American Council of Learned Societies Fellowship at the Cogut Center for the Humanities at Brown University working on his manuscript Imagining Atlantic Bodies: Health, Illness, and Death in the Early Modern African-Spanish Caribbean. This entry was posted in CE Events on December 3, 2011 by Kelly Baker Josephs. “Neither Race Men nor Tragic Mulatas: Afro-Puerto Ricans and the Imperial Transition, 1898-1917” by Frank A. Guridy, Associate Professor. Departments of History and African and African Diaspora Studies, University of Texas at Austin. This entry was posted in CE Events on November 16, 2011 by Kelly Baker Josephs. This entry was posted in CE Events on October 30, 2011 by Kelly Baker Josephs. This entry was posted in CE Events on October 23, 2011 by Kelly Baker Josephs. This entry was posted in CE Events on October 14, 2011 by Kelly Baker Josephs. This entry was posted in CE Events on October 12, 2011 by Kelly Baker Josephs. This entry was posted in CE Events on September 26, 2011 by Kelly Baker Josephs.